Ready for the Day! offers families emotionally healthy, lasting solutions to a common daily struggle: getting kids ready to go in the morning. Children will love the fullcolor pictures and tender story, and parents and caregivers will learn the language of positive parenting. 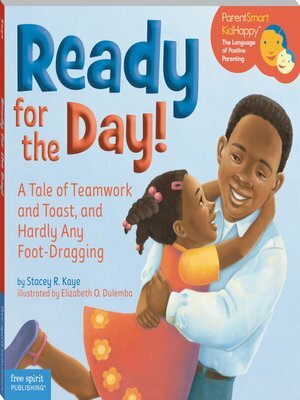 With honesty and gentle humor, this book shows parents how to handle the morning routine (and other daily transitions) by giving encouragement, offering choices, and validating feelings. The result: you get through everyday challenges with less stress while building your child's emotional intelligence. Includes tips for parents and caregivers.